Shocking news, my friends! Indeed, it is so scandalous, so beyond the pale, that it may well change your view of Survivor forever. I mean, it simply can’t be true; only a fool would believe it even for a second. It’s THAT crazy. Here it is: I have it on good authority that during the filming of Ghost Island, the Executive Producer of Big Brother was flown to Fiji to serve as an emergency creative consultant. Probst, from what I’ve been told, was so emotionally distraught over the extended pre-merge Pagonging and the listless post-merge play that the other producers agreed that it was time to hit the panic button and hopefully save the season. One CBS/SEG conference call later, the biggest fixer of them all, the Matriarch of Manipulation, Allison Grodner, was on a private jet heading to Ghost Island. What follows -- which you must promise to keep between you and me! -- are excerpts from Grodner’s conversations with Probst, which took place as the post-merge game was unfolding. Probst: I want Michael to win. Grodner: Okay, then, let him. Probst: It’s not that easy. Everyone wants him out. Grodner: You’ve been feeding this kid idols, right? 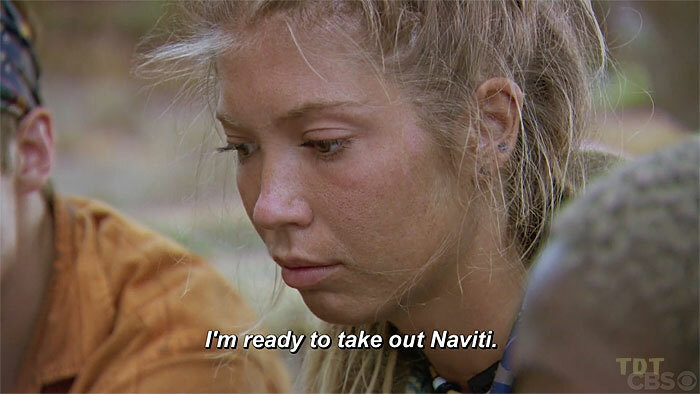 Probst: Of course I have! Grodner: So what’s the problem? Grodner: He’s been forced to play them. 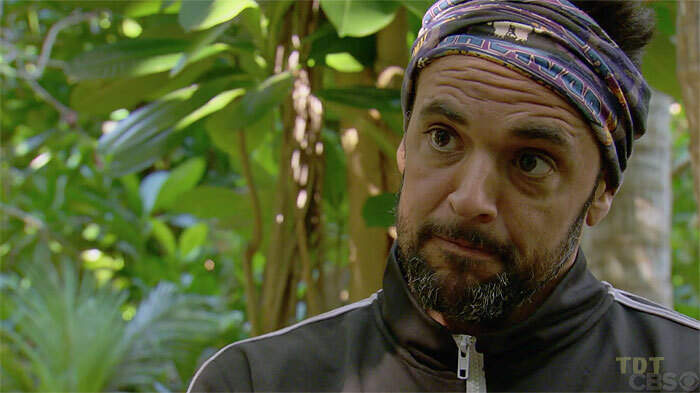 Probst: His starting tribe sucked in challenges. Grodner: And whose fault is that? Grodner: Was that so hard? Now, what about letting him get voted out and then you rig the challenges so that he can get back in? Probst: We’re not doing Redemption Island this season. Grodner: Just make it a twist. Probst: Can’t. Gotta save it for Survivor: Legends. Boston Rob will need it. Grodner: Your call. But if you’re not willing to be creative, you can’t get the winner you want. 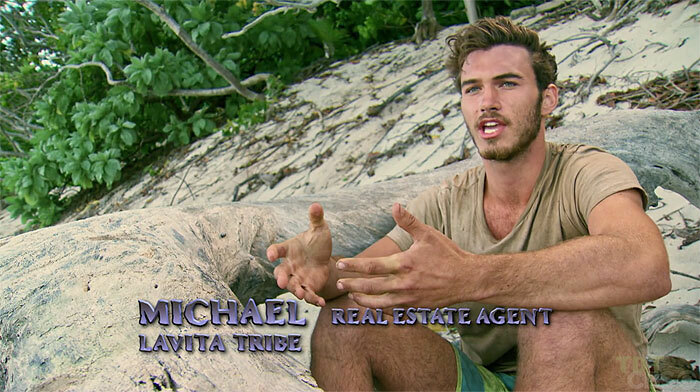 I can help you get him to the finale, but even I can’t get him to Final Tribal. Grodner: Michael’s got an idol right now, right? Grodner: YOU’RE KILLING ME, JEFFREY. Probst: It’s not my fault! He invited Donathan to idol hunt with him! Grodner: I thought you said Michael was smart. Grodner: If you say so. How did Donathan find it? You had a field producer put the idol where Michael was looking, didn’t you? 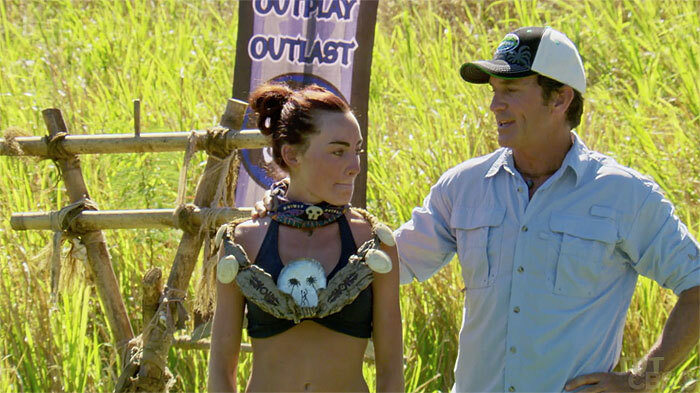 Probst: I’ve been exec producing this show for nearly a decade, Allison! Of course I did! I’m not an idiot! Grodner: No need to take a tone, Jeffrey. Remember, I’m not the one who needed to call me. Probst: Sorry, it’s just so frustrating. We put it into a tree, but Michael zigged when he should have zagged, and Donathan got there first. Grodner: Hold on, the production notes say that it was only half an idol. Michael got the other half, I presume? [Silence.] WHAT THE HELL. Probst: He had his hands on it… but he let Donathan grab it from him. Grodner: He WHAT? [Long silence.] Remind me why you want him to win? Grodner: You shouldn’t use recruits, Jeffrey. Grodner: Recruits get used as pawns, and as soon as they’re ready to make a move, they get gunned down because they do things like try to tell a whole group of people what to do. 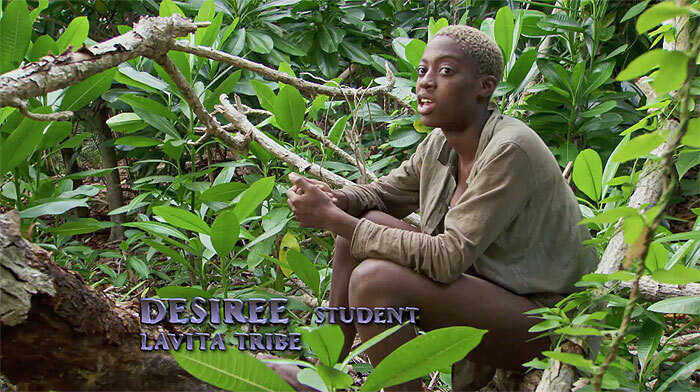 Probst: But you use recruits all the time! I mean does ANYONE actually apply to Big Brother? Grodner: HAHAHAHA -- you’re so easy, Jeffrey. OF COURSE you use recruits. Applicants are awful. Grodner: Why aren’t your favorite players going to Ghost Island every week, Jeffrey? Probst: They’re drawing rocks to see who goes. Grodner: Let me get this straight -- you have a location full of idols and advantages, and you’re letting ANYONE go there? Probst: They’re supposed to be picking players in their alliances to go! Grodner: What have I told you about reality show contestants, Jeffrey? Probst: They do dumb things. Grodner: Especially when you don’t feed them. Now, who went to Ghost Island last time? Grodner: The one with RBF? Probst: That’s her. She didn’t get a game. Grodner: Finally, a good decision! Who’s going tonight? Grodner: Wasn’t she supposed to be an early boot? Grodner: Let me guess, she was on the tribe that won the early challenges? Grodner: -- We don’t need excuses, Jeffrey, only solutions. Now, we want some variety in how we screw over bland players, so we have to give her a game. Can you rig it? Probst: Sure. What do you have in mind? Probst: That’s why you’re the best. Probst: I can’t stand Chelsea. Probst: Actually, no. She’s been involved in a number of significant strategic conversations, she’s been pivotal in a few votes, and she won individual immunity. Grodner: Michael hasn’t worn the necklace, but Chelsea has? Grodner: Let me guess -- she promised to flirt, but she hasn’t, so you’re giving her the Brenda treatment. Probst: Yes -- she likes the Sit Out Bench too much! Grodner: Okay, fine, destroy her in the edit. She was on the purple tribe at the outset, right? You know what to do. Grodner: Who else don’t you like? Grodner: But isn’t she in a showmance? I LOVE SHOWMANCES. Probst: Yeah, but Sebastian just keeps comparing her to kinds of candy, with the occasional reference to dead animals. Grodner: Well, that’s why double boot episodes were invented, Jeffrey. Grodner: Where do you keep finding players who start out sweet, but become overconfident and demanding as soon as they get a taste of power? Probst: I complain, but the truth is, Lynne’s really good at what she does. Grodner: But you’re mad at Kellyn, I can tell. Probst: Of course I am! Grodner: Because she wants Michael out NOW. Grodner: Which is why you’re going to leave that offensive Helen Keller reference in the edit. Probst: Am I that transparent? Grodner: Socially acceptable drug use comedy never gets old. 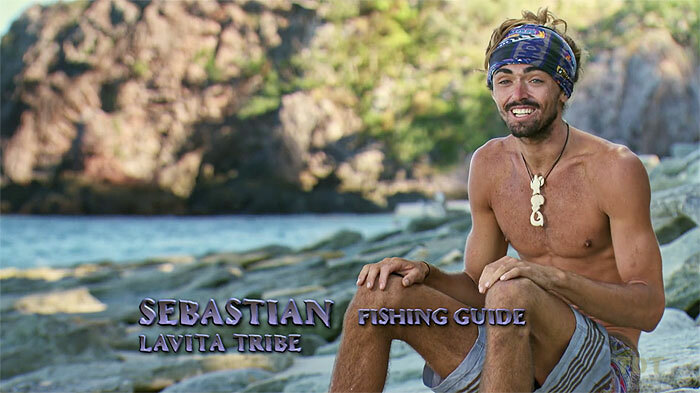 Probst: I told Kirhoffer about Sebastian, and he designed some challenges where I’d have to say “high” a lot. Grodner: Smart. Please tell me there’s an immunity coming up that involves pot smashing. Probst: OH MY GOSH THAT’S GENIUS. Grodner: Is there anything in Laurel’s psych profile that suggests that she’s a risk-taker? Grodner: And now her alliance with Dom and Wendell is exposed? Grodner: She’s never going to flip, Jeffrey. Probst: SHOVE AN EFFING STICK IN MY HANTZHOLE WHY DON’T YOU. Grodner: How’d you convince Morgan to give him the Legacy Advantage? Probst: Promised that we’d consider her for a future season. Grodner: Oh, man, that ALWAYS works. Grodner: Dom’s still got a real immunity idol and a fake one that some people might think is real -- do I have that right? Grodner: Hmmmmm. Got any relic idols that look fake? Probst: A couple -- why? Grodner: Any of them look like Dom’s fake idol? 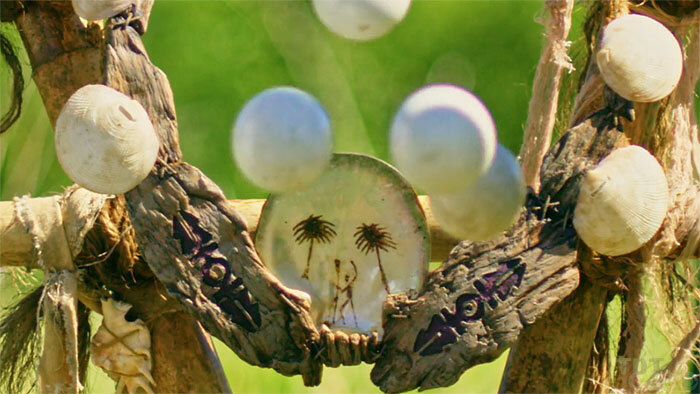 Probst: We’ve got that shell and string idol from last season… OH I SEE WHERE YOU’RE GOING WITH THIS. Grodner: Make sure he gets that idol, Jeffrey. 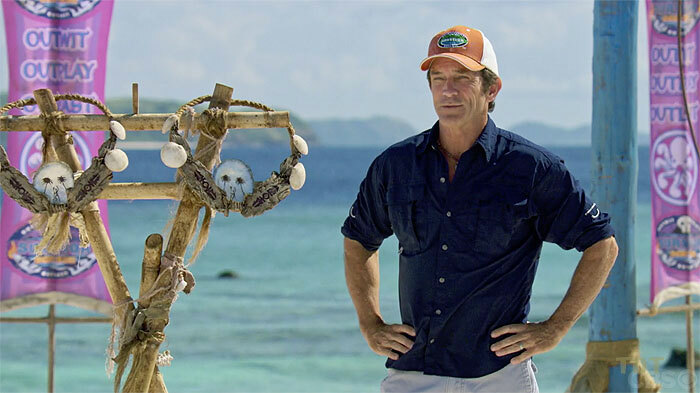 Probst: No one will know which idol is fake and which one is real! Grodner: And the next thing you know, Dom’s in the Final 3. BOOM. Grodner Grenade! Grodner: You’ve given him an idol, yes? Probst: Of course! I told you, I’m not a moron. Grodner: And yet you let Fabio and Amber win. Probst: HEY! Two words for you: Rachel Reilly. Grodner: Big difference, Jeffrey. I WANTED her to win. Grodner: Because sometimes, you just want to piss everyone off. Probst: Good point. To be fair, though, that Amber win was just to bankroll Boston Rob until we figured out how to rig an entire season. Grodner: Harder than it looks. Probst: Don’t I know it. [Silence.] 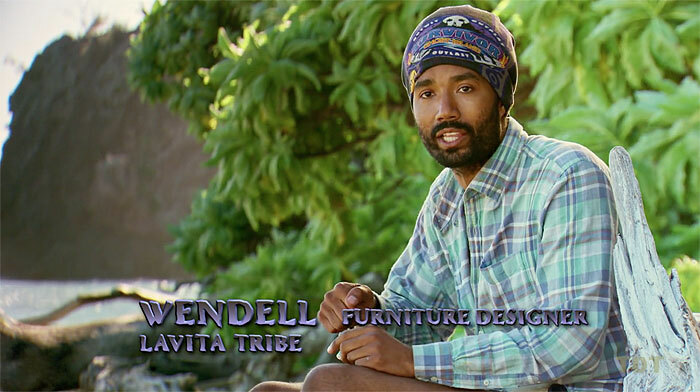 Back to Wendell -- if you can’t get Michael to the end, I want Wendell to win. Grodner: Why? Is it because he’s intelligent, articulate, and perceptive? Grodner: Because you’ve never had a young African American winner? Grodner: Ohhhhhh -- he was your preseason winner pick, wasn’t he? Probst: I NEVER GET IT RIGHT. Grodner: Okay, Jeffrey, I’ll see what I can do. 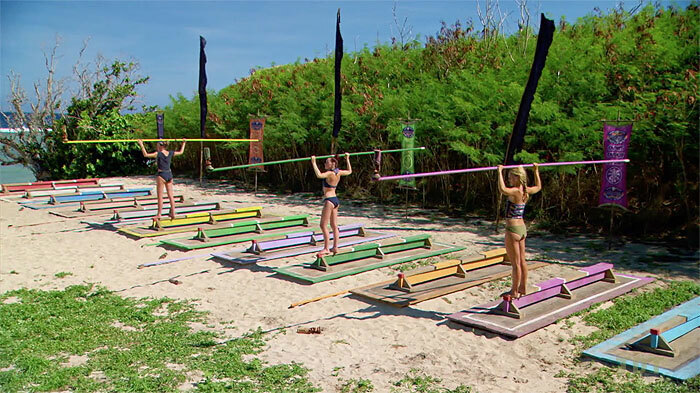 ** I’ve been saying for several years now that post-merge challenges favor physically strong women (and lithe men like Ozzy)… they should be the targets right after the merge, not guys like Chris. 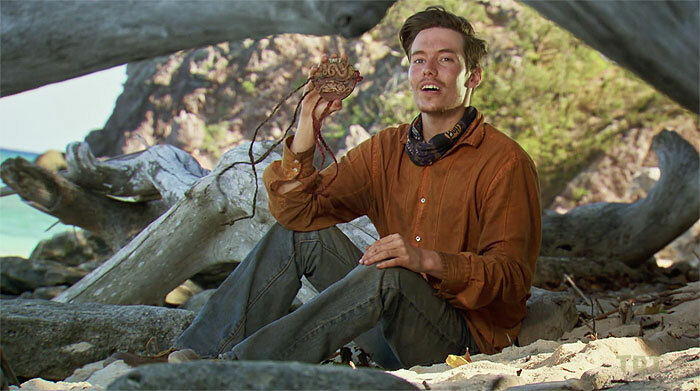 ** If Donathan had been able to keep quiet about his two-piece idol, as soon as he felt he was in trouble, he could have put in on at Tribal Council and dared everyone to vote for him. Sigh. Missed opportunities. ** The confessional where Domenick refers to other players as goats reveals an attitude that’s going to get him in a lot of trouble at the Final Tribal Council. ** Once again, half the cast is making it three-quarters of the way through the game. That’s crazy. 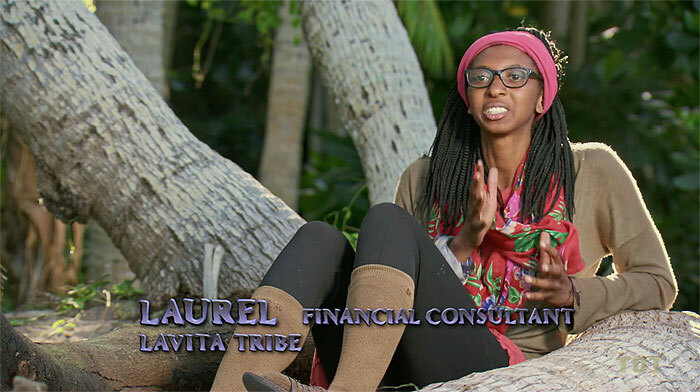 It has an immeasurable impact on strategy; as brilliant blogger Sarah Freeman over at RHAP pointed out, players are probably far less likely to make a move when they’re facing a Tribal Council every day. And I can’t shake the possibility that all of the late eliminations shape the psyche of the jury. ** In Survivor: MvGX -- the most recent 20-player newbie season -- there was a Tribal Council on Day 33, 34, 35, 36, 37, 38, and 39. INSANE. ** “Dezeray”? Among other things, Seabass is hooked on phonics. At least one invisible player gets his or her torch snuffed when two castaways go home. Chelsea was left out of the vote last week, so I’ll go with her. The second boot really should be Michael. If Michael pulls off some idol shenanigans, though, it will be Jenna’s time to go.